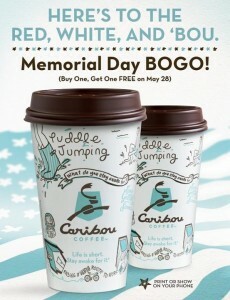 If you are out and about today you can stop into Caribou Coffee with this coupon and get Buy 1 Get 1 FREE beverages. Yum! Valid 5/28/2012.